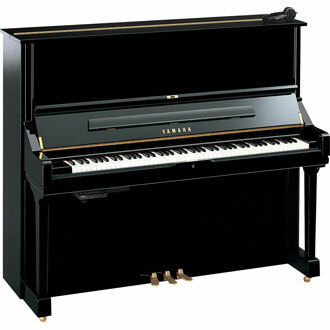 For the first time ever the Silent Piano offers sound sampled from the Yamaha CFX full concert grand piano, supporting the beauty of its clear, vivid tones with the power of this renowned instrument. This is Yamaha's first model with binaural sampling system, enabling reproduction of natural and three-dimensional sound. An expansive soundboard and acoustic chamber give the 52" U3 extended power and projection, with the peerless tonal and expressive control of the legendary Yamaha action.